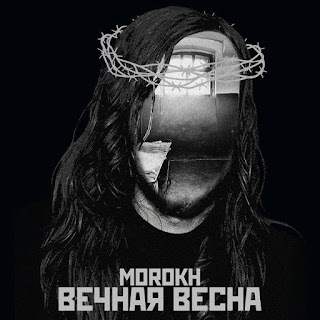 This is a review of a track from Russia's Morokh which is in the more shoegaze orientated style of black metal and on this track they cover Russian poet and musician Egor Letov and the band Egor i Opizdenevshie's song "Eternal Spring" and the single was released in 2016 by Zero Hour Recordings. Clean playing starts off the track along with some heavy riffing a few seconds alter while synths and shoegaze elements are also used as well as all of the musical instruments having a very powerful sound to them and the vocals are mostly angry yet high pitched black metal screams and when the music speeds up a small amount of tremolo picking and blast beats can be heard, stringed instruments can also be heard briefly. In my opinion this is another great sounding track from Morokh and if you are a fan of atmospheric black metal and shoegaze, you should check out this single. 8 out of 10.